Diarrhea Planet is that kind of band. Back with their third album, the Nashville-based rock group are still pretty much exactly you want from a band called Diarrhea Planet, even if they are a little more refined act this time around. Musically, they remain a beautiful mess. There’s so much happening in every song at once that the only way to take it all in is crank up the volume and lose yourself in the half-assed, albeit catchy, vocals. If you’re new to the band, don’t fret. The opening track “Hard Style” is an instrumental that sets the stage and helps you acclimate yourself before the triumphant “Announcement” lays it on thick. It’s classic Diarrhea Planet, with a chorus you can barely hear over all the whammy pedals and guitar solos. The amateurish production, of course, being part of the charm.They’re a band that would rather just play their music in the closest form possible to their live performances. As the album progresses, “Life Pass”, “Let it Out” and “It Aint A Sin to Win” prove some of the band’s best (and most accessible) efforts yet. It’s all capped off by “Headband” – an eight minute behemoth of a song that starts off slowly but makes the most of its length to evolve in style over time. Like a lot of Diarrhea Planet songs, it’s not as much a song you listen to as much as it is one you feel in your bones. 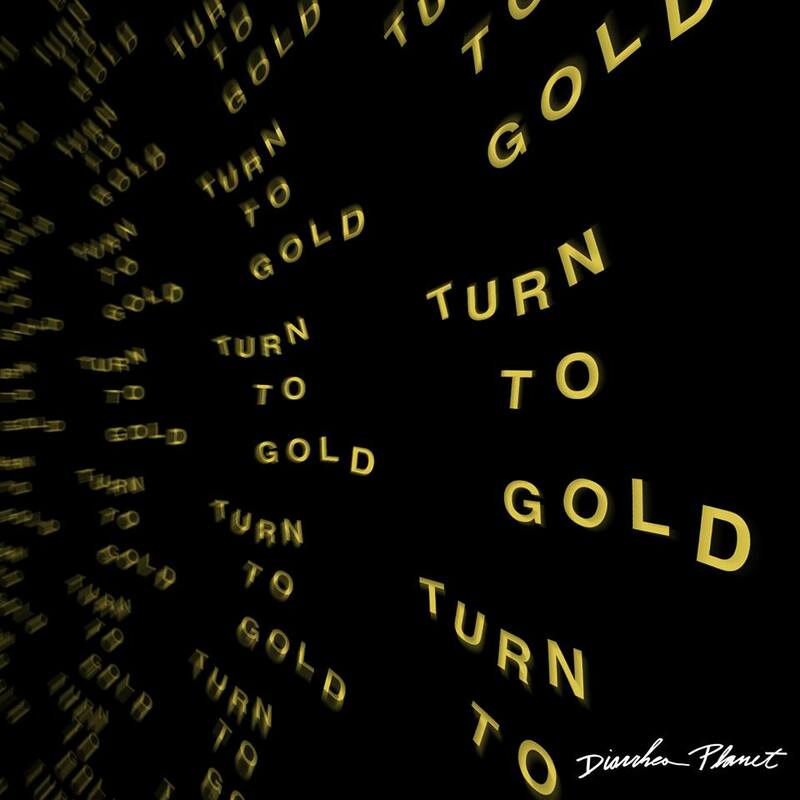 Don’t let the name fool you, Diarrhea Planet are masters of their craft – and there’s never been a better time to discover them than with Turn to Gold.